After our morning boarding on the bus we will drive towards head up north to St Nickolas (Volimes) where we will visit Askos Stone Park (you will be offered a 250 ml bottled water and a map of the park in your language). 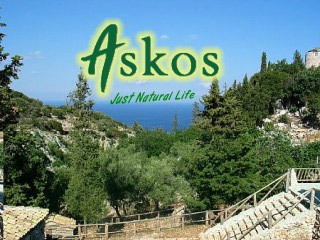 Askos Stone Park is the place where 170.000 self -sown plants (bushes and trees) grow, exactly as placed by Mother Mature. Hundreds of animals also occupy the same area, living free in their natural habitats. There are wild hawks of many species, many representative mammals of the island, many species of birds, amphibians, insects and other native animals. The route we will follow during the excursion gives the opportunity to meet the natural beauty of Zakynthos.